This story originally appeared in the Napa Valley Register (March 11, 2016). Jensen is a wine industry visionary who has contributed vastly to the understanding and production of pinot noir. Considered one of the pioneers of the grape, Jensen studied at Yale and then later at Oxford, where he was on the rowing team. He traveled to France where he met Aubert de Villaine, proprietor of Domaine de la Romanée-Conti, one of France’s most celebrated vineyards, and fell in love with Burgundy, where grapes grow in limestone soils. Back in the United States, Jensen spent the early 1970s on a hunt for limestone soils. He traveled all over California, venturing off of the grid. The land was rough and there were no maps but he was on a quest to find the perfect site. He used the USGS (United States Geological Survey) maps to find limestone deposits and drove up and down roads with no signs. In 1975, using cuttings that came from Burgundy, Jensen planted the first 24 acres of pinot noir in three vineyards – Selleck Vineyard, Reed Vineyard and Jensen Vineyard. In 1977, Jensen purchased an old rock crushing quarry down the road from the vineyards and built a gravity fed winery. Today Jensen produces pinot noir from six vineyards, Selleck, Reed, Jensen, Mill, de Villiers and Ryan Vineyards, as well as chardonnay, viognier and aligote. 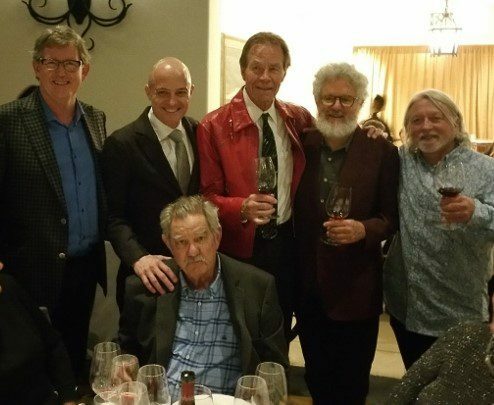 At the dinner in his honor at World of Pinot Noir, five winemakers spoke to the audience about their admiration for Josh Jensen. Winemaker and the evening’s master of ceremonies Terry Culton, who worked with Jensen from 2001-2003, provided the introduction to Jensen and described him as a visionary and adventurer. Greg Brewer of Brewer-Clifton recalled the first time he tried Calera. It was December 1992, and Brewer was teaching French and had just begun working at a winery in Santa Barbara. He was given a certificate to the Wine Cask Restaurant. As he perused the wine list there, he told then-sommelier Doug Margerum that he only had $100, which was a lot at the time for this young winemaker. Concerned he would spend it all on wine, Margerum said not to worry because “winemakers don’t pay full price” and brought him the Calera 1987 Jensen Vineyard. In response to Brewer’s speech, Jensen responded that he was “all choked up” but the praise was just beginning. Adam Tolmach from The Ojai Vineyard recalled first meeting Jensen in 1984 when he traveled with Jim Clendenen to Calera. “We were two young guys fascinated by Josh, who [we thought of at the time as part of] the ‘older’ generation.” Tolmach continued that they were in “pursuit of the craft. We realize we couldn’t match up to him but he gave us confidence.” Jensen was an inspiration, and Tolmach thanked him for that. Larry Hyde of Hyde Vineyard recalled taking more than 100 vine cuttings from a field selection from the Jensen Vineyard. But with the cuttings, he got a lot of viruses such as leaf roll. He cleaned the viruses out of the cuttings and then planted the cuttings. As Hyde recounted his story, Jensen nodded in agreement that he offered the cuttings to Hyde and then added that three or four years ago, “I called Larry and told him that I heard they had been cleaned up and I wanted to pick up some sticks.” In the end, his gifting has come full circle. The night ended with Rob Jensen of Testarossa, (no familial relation to Josh Jensen) who talked about his epiphany moment. It was the 1983 Calera Jensen Pinot Noir and “we bought it because it had our family name on it. 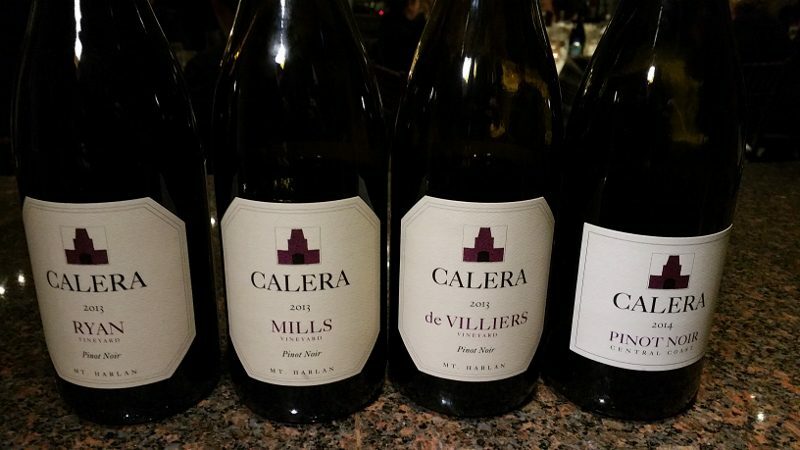 It was our first bottle and Josh was our sensei.” Rob Jensen then held up the empty bottle of 1983 Calera that he and his wife enjoyed all those years ago. Josh Jensen has not only been influential with pinot noir, he has also clearly had an impact on many winemakers and wine enthusiasts along the way. This entry was posted in Lifestyle, Wine and tagged Adam Tolmach, Calera, Greg Brewer, Josh Jensen, Larry Hyde, Napa Valley Register, Pinot Noir, Rob Jensen, Rock Star of Pinot Noir, Terry Culton, Wine, winemaker, WOPN, World of Pinot Noir by Allison Levine. Fascinating back stories. Thanks for enlightening us readers.